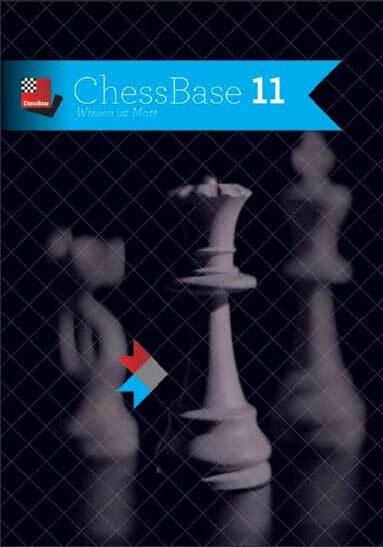 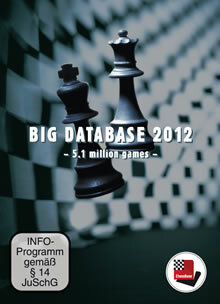 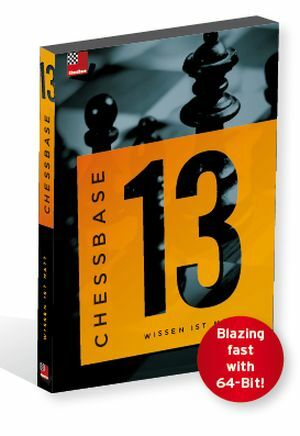 The Big Database 2012 contains more than 5.1 millions games from 1560 to 2011 in the highest ChessBase quality standard with ChessBase opening classification with more than 100,000 key positions, direct access to players, tournaments, middlegame themes, endgames. 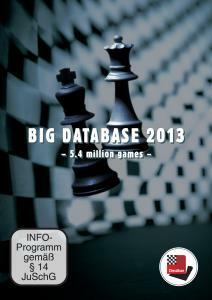 The most recent games of the database are from the Middle of November 2011. 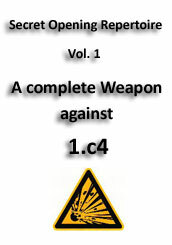 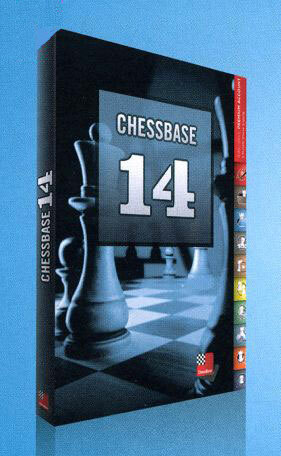 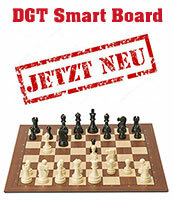 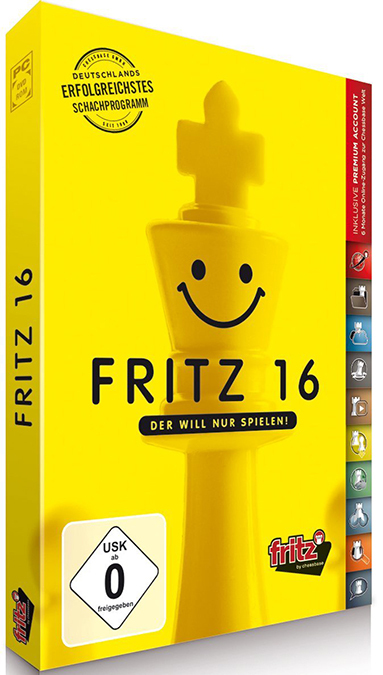 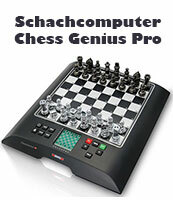 System requirements: 1 GHz Pentium PC, Windows 7/Vista/XP, 512 MB RAM, DVD-ROM drive, ChessBase 11 or Fritz 13.